Why Do People Live in Garden Club Estates? Garden Club Estates is located just east of Interstate 65 off McEwen Drive. This Franklin TN neighborhood is located right around the corner from McKay's Mill. It is a short drive to the interstate and the many shopping and dining opportunities in the Cool Springs retail area. What's the Garden Club Estates Neighborhood Like? There are approximately 140 homes in the Garden Club Estates neighborhood of Franklin TN. They generally range between 1,750 to 6,000 square feet. 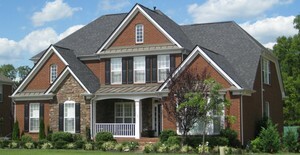 The homes were built between 2004 to 2008 by Pulte. One home which is located at 220 Conservatory was built on 1.2 acres in 1978. It was original to the property prior to Pulte buying the land and developing the neighborhood. What Type of Activities are Offered Near Garden Club? Garden Club Estates is located just around the corner from McKay's Mill Towne Center which includes retail shopping such as Publix Grocery, Walgreens and an on-site daycare facility. You will also find office space, a dry cleaners and Jets Pizza. Garden Club Estates is just minutes to the Cool Springs retail district where you will find lots of shopping, including the Cool Springs Galleria. Some of the restaurants you will find nearby are Chuy's Tex Mex, P. F. Chang's and J. Alexander's. There is every type of shopping and dining experience within minutes. What Schools will Garden Club Students Attend? Let Us Help You Find Your Garden Club Estates Home.